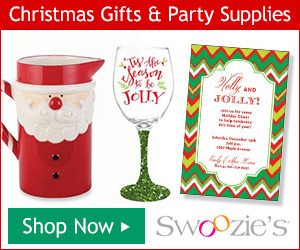 People love Christmas, Christmas Carols, Pictionary and Holiday Parties. Put them all together and what do you get. Christmas Carol Pictionary Relay where teams race to figure out what Christmas Carol their teammates are drawing. 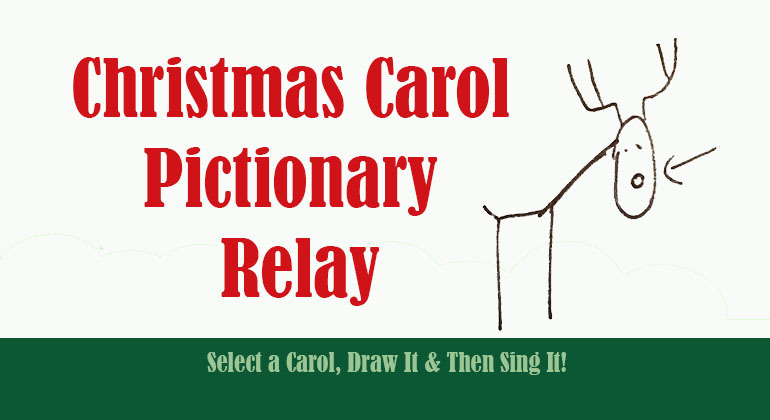 Christmas Carol Pictionary Relay will have team members getting the name of a Christmas Carol, then that team member must draw the Christmas Carol until their team recognizes the song and then the entire team must sing that song or at least try. The first team to have all team members complete the task wins. 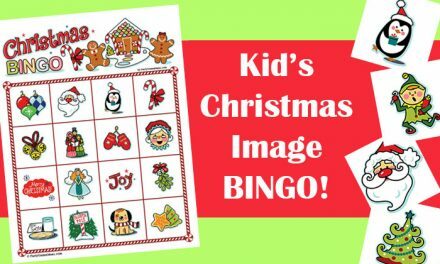 Try to get more Christmas Carols – Songs than you will need consider grabbing a few Christmas albums and just start seeing if these are holiday songs that most people know. 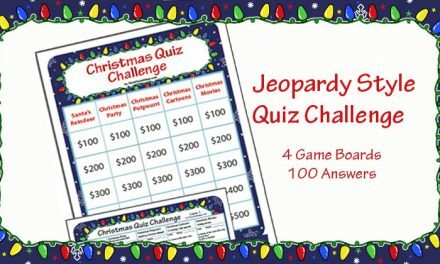 We suggest you have enough Christmas songs for at least two rounds of this game. 1. Divide group into two teams. 2. 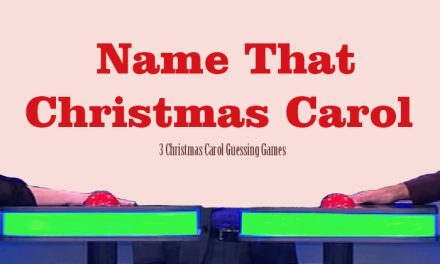 Each team sends one person up to the Gamemaster / Host who gives them the name of a Christmas Carol. It is helpful to have the carols written on cards, that way you can give the player a card and they will not see any other carols. 3. The player returns to group and in the manner of Pictionary tries to get the group to guess the name of the carol by DRAWING ONLY. Each team will need paper and pens. 4. As soon as the group knows the song, they must sing it as a group until the Gamemaster / Host gives the thumbs up sign (10 – 15 seconds). Once they get the thumbs up, the team sends a new person for another song. Play continues until one group completes all their songs. Here are some Christmas Carols to get started. Remember there can not be any duplicate carols. 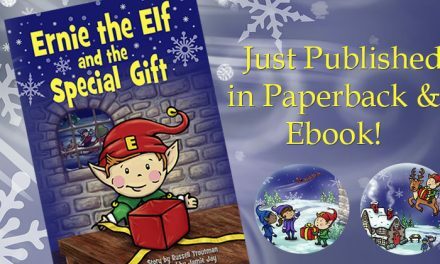 We have had great feedback on this game and it is enjoyed by choirs, choral groups, theater groups and anyone who loves Christmas music.